Tenerife and in particular the Isla Baja region offers countless opportunities to organize your holiday individually and actively. 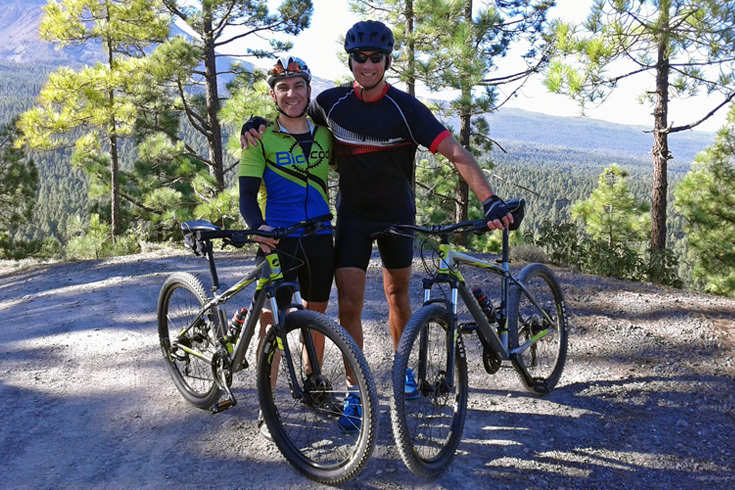 Mountain biking is always in season on Tenerife. Explore small villages, drive along the coast with unique views over the blue Atlantic Ocean or, if you feel sportier, explore one of the tours through the volcanic landscape of the National Park Teide or through the laurel forest in the Teno Mountains. Furthermore we offer two guided trips with E-Bikes. Explore the Isla Baja and the Parque Rural de Teno. Max. 4 participants. The bicycles and helmets can be rented at the Hotel. Discover Tenerife by Mountainbike oder E-BikeTours.